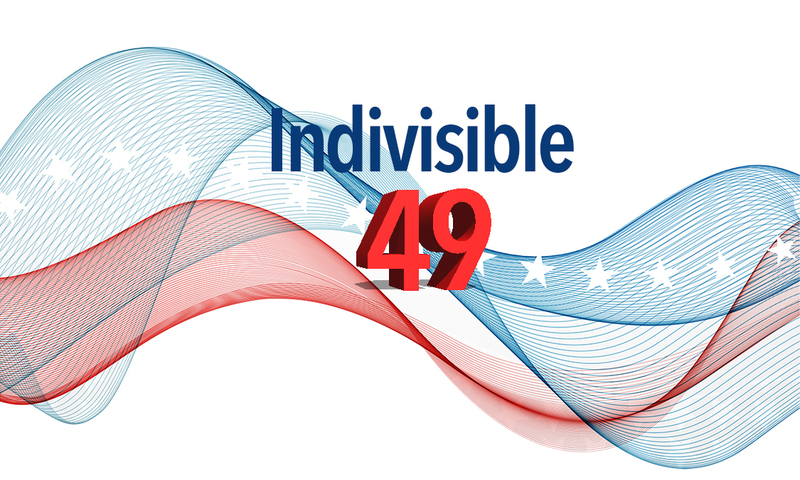 Here's what's happening in the 49th District this week. Lots going on this week for you to get involved in. See below for upcoming actions. The new healthcare bill will be voted on in the House on Thursday, so we need to let Darrell Issa know that we do not support this new bill. Take action on Monday, Tuesday and/or Wednesday to make your voice heard. "Die in" for what you believe in. 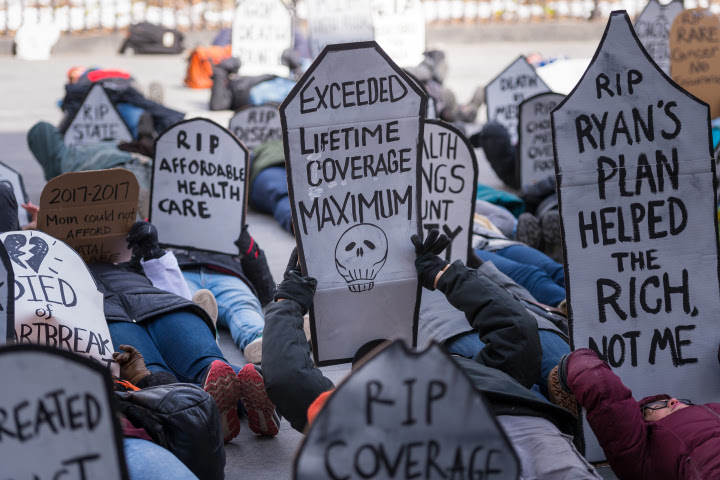 We will gather in front of Issa's office, then suddenly lay down on the grass with signs saying "waiting to die," or gravestones saying RIP affordable health care, or obituaries. Be creative with your signs. Bring your sign/tombstone and join us. Be there promptly at 10 as we will be "dying" around 10:15. Please RSVP. Join us for a protest at the Chamber of Commerce's Annual Meet the Leaders Dinner, where Congressman Darrell Issa is keynote speaker. Meet Col. Doug Applegate and learn his positions on important issues. Join friends from Together We Will North County to learn more about his campaign. We are gratefully accepting donations at the door to help defray costs associated with hosting this event. Important!!!! Space is limited. Please RSVP here. Here's a simple, painless way to fax your legislators every day. Text "resist" to 50409. They will ask for your name, zip code, and what you'd like to tell your legislators, then create a custom fax and send it on your behalf. Resistbot will format it like a personal letter from you and fax it to your legislators. It's genius and so simple. If you have one hour, attend our Tuesday morning rally at Representative Darrell Issa’s office. Issa needs to know that are watching and we are not going away! For information and to RSVP here. Copyright © 2017 Indivisible 49, All rights reserved.